If only there were more hours in the day, right? Unfortunately, until science shows us how to warp the space-time continuum, there’s not much you can do to add hours to the day. So instead, let’s focus on what you CAN do – get more done in less time (and reduce stress at work!). It’s time to shift your mindset and work habits into higher gear, with our top 7 ways to hack your productivity at work. Mark Twain once famously said that if the first thing you do each morning is eat a live frog, you can be pretty confident that nothing worse will happen to you for the remainder of the day. Obviously we don’t advocate an amphibious diet, but the metaphor serves to highlight the benefit of starting your day with the hardest or most dreaded task. The rest of the day will feel instantly easier and lighter, and you’ll start with a kick of accomplishment, making you work better throughout the day. When you first come in to the office in the morning, spend about 10 minutes making a list of all the tasks you want to accomplish that day. Assign a time slot to each task and try to stick to them. This kind of time management will turn your day into little sprints rather than a marathon. Bonus – you can also do this at the very end of the day for the following day. This will ease your mind and help you switch off in your downtime, which is another key point we’ll get to. In a similar vein to the previous tip, set your own deadlines. If you’ve just been assigned a long-tail project, it is easy to let it slip in favour of more pressing tasks and quietly hide in the background until it rears its ugly head in a flurry of stress as the deadline speeds towards you – a huge factor in workplace stress. Set up your own deadlines for different milestones of the project and you’ll have peace of mind for the duration, Plus, you’ll come off super conscientious – always a good look! Sometimes, you just need to get in the zone and hammer out whatever it is you’ve been putting off. To improve focus at work, you can use music to your advantage – upbeat music has been shown to augment cognitive functioning in repetitive tasks, while nature sounds boost performance for tasks requiring analytical thinking. Plus, with your headphones in, you’re likely to reduce distractions in the office, as your colleagues will think twice before bothering you. 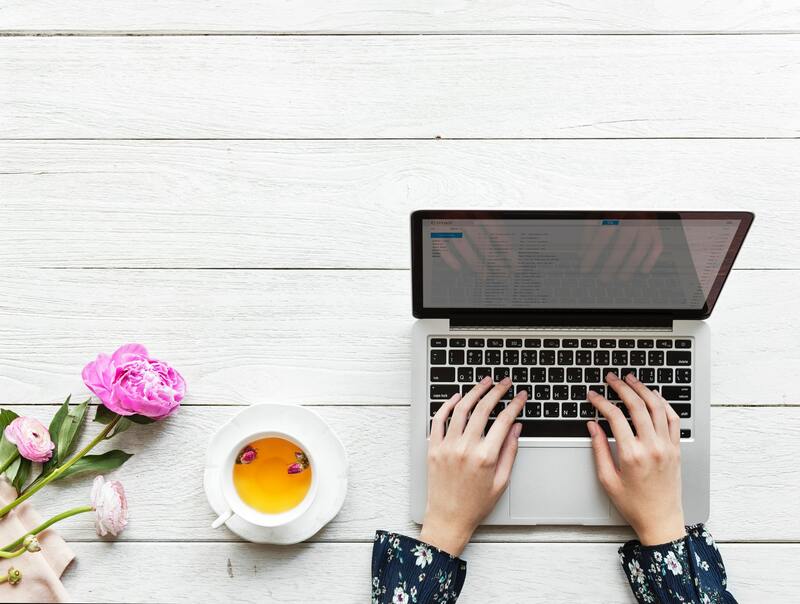 When your inbox is a bottomless pit with hundreds of emails flying in and out every day, it can be easy to spend the majority of your day on your email. Unfortunately, while you’re staying on top of your inbox, other projects are likely suffering as a result. To avoid this, set yourself a few designated email-checking times throughout the day, where you spend 10-15min solely focused on your inbox. Then close it and put it away until the next slot rolls around a few hours later. Getting overwhelmed? You’re not alone. A recent study has showed that two-thirds of Brits feel a constant sense of dread and overwhelm related to work and life pressures. Remember it is ok to take 5-10 minutes to yourself to relax and collect yourself. The same study found that 1 in 8 Brits swear by deep breathing exercises to cope with stress. 7. Switch off at the end of the day! What you do outside of work is just as, if not more important, than what you do at work. When you leave the office, make sure to switch off from emails, notifications, and general work chat. Taking the time to replenish yourself and recharge for the day ahead may be the best thing you do for your productivity. At the end of the day, all the tips in the world won’t help if you’re battling a burn-out state. So there you have it, our top 7 ways to hack your productivity at work. What’s your fave productivity hack? Tweet us @wearefeedr!